Aucto.com is an online marketplace for used and surplus industrial equipment and machinery. The platform allows sellers to list and sell their surplus industrial assets via online auctions and fixed priced listings. 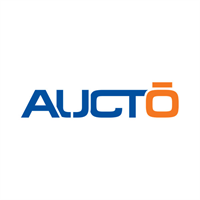 Sellers on Aucto range from large industrial auction houses, used machinery dealers and businesses looking to host and sell their surplus through online auctions. Unlike other listing platforms, Aucto.com actively markets assets on behalf of their sellers through email, social, PPC and telemarketing campaigns. For buyers, Aucto.com provides an opportunity for businesses and equipment dealers to source industrial parts and machinery at liquidation pricing. Aucto’s bidding engine focuses on providing bidders with a transparent and fair bidding system, while providing all the features they would expect from an online ecommerce site. To learn more about selling or buying on Aucto.com; please visit www.aucto.com.